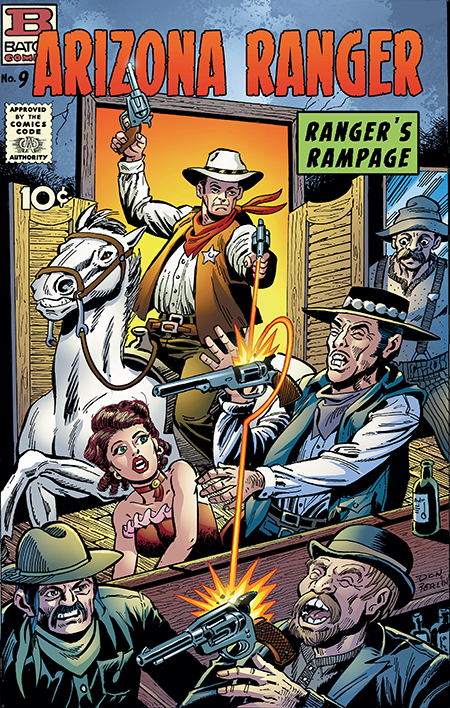 Don Perlin is one of two Batty Batom Bullpen artists to do two covers and in both cases the second cover was a western. I described the circumstances behind this cool Perlin cover in an earlier post so instead I’ll just let you enjoy the color version while I take note of the fact that we’ve passed the halfway point in our twenty-two cover march towards the Heritage Auction of all of the original Batom Comics covers on November 17th in Beverly Hills (and online). 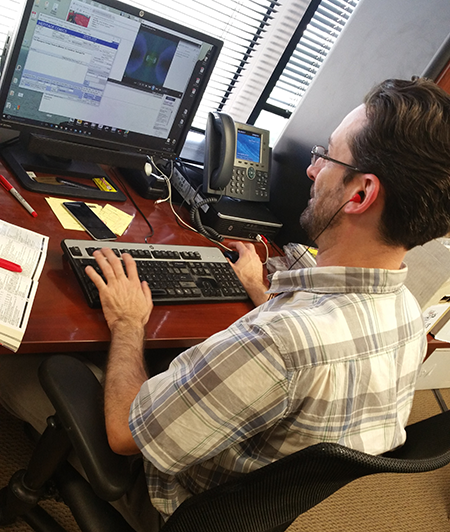 Here we see a Heritage art cataloger writing the descriptions for the upcoming auction pieces. It’s hard to believe just how fast the auction is approaching, but you still have plenty of time to check out the covers that have been revealed so far in the gallery. This is a unique bunch of covers the like of which will never be seen again, so this is your one and only chance to own a Funky/Batom cover by your favorite artist. Good luck in winning the one you want.